Your message has been received and will be responded to within one business day! 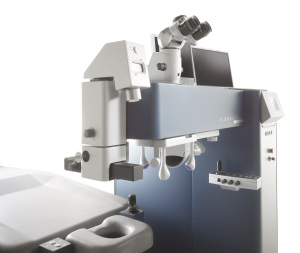 What makes Wavelight® refractive technology unique? Wavelight® refractive technology combines the latest surgical advancements into a LASIK procedure personalized for your ideal vision. In the past, every LASIK patient received the same basic procedure every single time, without accounting for all the unique attributes that make your eyes special. Wavelight® refractive technology is different. Wavelight® technology allows your surgeon to create a personalized treatment plan, with treatment options that take into account your unique visual needs, for your best results. 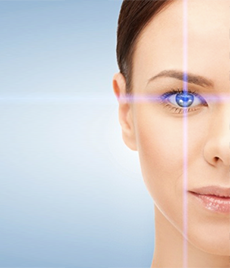 The WaveLight® ALLEGRETTO WAVE® Eye-Q Laser was designed to preserve the natural curvature of your eye. As a result, LASIK with WaveLight® refractive technology can help preserve the quality of your vision, ensuring your eyes are at their most natural and their most useful. 93% of nearsighted patients see 20/20 or better. 83% of farsighted patients see 20/25 or better. 92% of patients described their vision as "good" or "excellent." Think 20/20 vision is impressive? 75% of Wavefront Optimized® treated nearsighted patients actually see better than 20/20.